This book won't change your life. But it might just help you change it yourself. Only you can take the steps you need to help yourself become the strong, independent, fearless person you dream of being. It took me a long time - and a lot of real lows, excruciating heartaches and countless mistakes - to get there. The sole purpose of this book's existence is the hope that it may speed up that journey to happiness for you. In Feel Good 101, YouTube's most outspoken star Emma Blackery is finally putting pen to paper to (over)share all her hard-learned life lessons. From standing up to bullies and bad bosses to embracing body confidence and making peace with her brain, Emma speaks with her trademark honesty about the issues she's faced - including her struggles with anxiety and depression. This is the book Emma wishes she'd had growing up . . . and she's written it for you. It seems like nowadays every single YouTuber is releasing a book, be it fiction or non fiction. Some people may be becoming slightly annoyed by it and whenever a well known YouTuber announces they are writing a book the comments about doing it for the money etc rise to the surface. Despite this, I have given many YouTuber books a chance and have been impressed. When Emma Blackery (one of my favourite YouTubers and musicians) announced she was writing Feel Good 101 I'll admit I did get pretty excited. I have a lot of respect for Emma and I was so excited to read her first piece of non fiction. I also got to go to the event/signing for the book at Waterstones Piccadilly but that is for another time. Feel Good 101 was originally a series on Emma's YouTube channel offering advice on certain topics likely to affect young people. So, it was only natural for the series to gradually evolve into a book form. 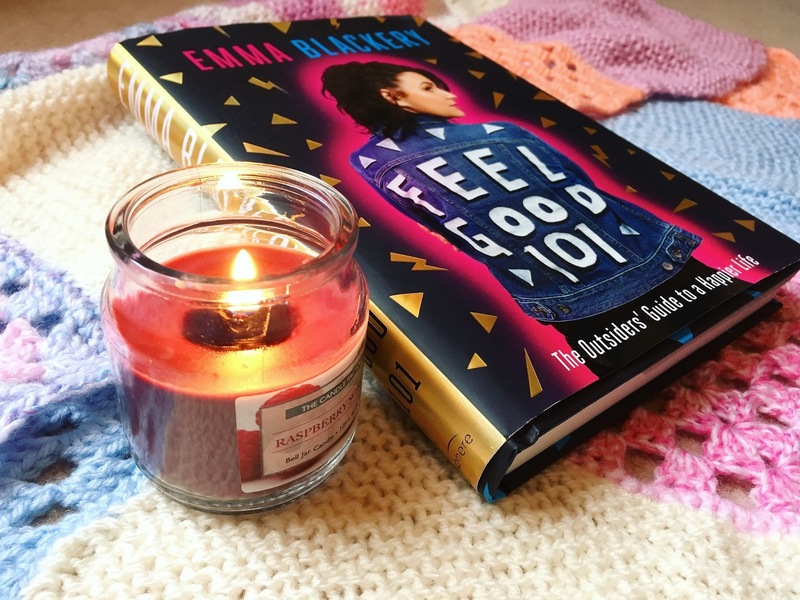 Despite the topic of the book Emma claims that Feel Good 101 isn't a self-help book and that it won't change your life but it might help you to change it yourself. Emma covers topics throughout the book such as; mental health, school, bullying, dealing with failure, following your dreams, health and how she started her YouTube channel. What I loved about this book for starters, was the natural element to it. The way it is written isn't formal in the slightest and it's as if Emma is talking directly to you. When I was reading I was imagining myself and Emma having a face to face conversation, thats how real the writing felt to me. It's so vivid and human and yes some of it is flawed but Emma admits she doesn't have all the answers. This was one of the reasons why I found Feel Good 101 a joy to read. Each chapter in the book is based on one certain topic. Each segment includes Emma's own real life experiences as well as some advice. I found this to be a brilliant way to get points about each topic across. As a well known internet personality many may think that Emma's life is perfect but when you read this book you will change your mind completely. There were many points during the book where I started to feel rather emotional just by reading her experiences (especially with regards to jobs and mental health). I even got tearful at some points. As this book is aimed at young adults there were a few chapters that I didn't connect with such as education and dealing with parents, as I am 24 and have been through them earlier in my life. However, I took a lot away from other segments especially the parts about mental health, following your dreams, dealing with failure and self worth. These are all things that I have struggled with and reading Emma's perspective on them just lifted me up. It made me realise that I'm not alone and that I can make my life better. Like the book suggests it could help you change yourself. Feel Good 101 was an absolute pleasure to read. I literally couldn't put it down and read it in two days. Parts of my life have really been put into perspective because of this book. Emma writes with such honesty and clarity and that is so rare these days. I will definitely be going back to some chapters when I feel low. Emma Blackery has written an exceptional book and she deserves all the praise she gets for it. Emma Blackery's quirky, witty personality attracted a mass online following during her teens and early twenties. She originally created her YouTube channel to get her music heard; today she has over 1.3 million subscribers and her videos have been viewed more than 100 million times. In 2017, she released her fifth EP, Magnetised, and headlined a sell-out UK tour.